The 1960’s western “The Magnificent Seven” is a classic. I’ve often wondered, “Why seven?” Was five was not enough? Was it because they had a big budget and could afford Yul Brynner, Steve McQueen, Charles Bronson, James Colburn and the other three? Or, was it because the marketing world is built around the number seven? How many times have we all seen “Top Seven” lists? Seven is a lot. It’s four more than most of us can accomplish before we try to remember what the other things were that we were supposed to do. 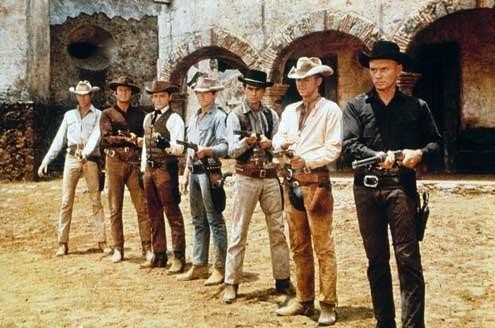 Not to make a bad comparison, but only three of the Magnificent Seven survived. Therefore, I would propose “The Magnificent Three” as an approach to answer the question: “What does my company need to do to become profitable, diversify into new markets and to win the battle?” Why three? Because it always seems to take more than one, but less than seven. a. Is this a cost center or a profit center? If it’s a cost center, what can we do to avoid costs? b. Which parts of this process support our company’s economic engine and what can we do to eliminate waste or improve throughput? c. Is the data or information going in and coming out of the process accurate? Not simply precise but truly accurate. d. How is the process measured for efficiency and effectiveness? Remember – what gets measured gets improved! e. What are the true “activity-based” costs associated with this process? These costs need to be benchmarked against industry best-in-class to see where your company stands. Answering these questions will put you on a path to understanding, and hopefully achieving improved profitability. b. The utilization of resources, i.e., people, equipment, facilities, etc. e. The true costs of the products and/or services provided. Costs by customer, product, service, business unit, etc. The third step is an industry analysis of current market(s), including specific strengths, weaknesses, opportunities and threats regarding market position, competition and your options for diversification including expanding products or services to existing “profitable” customers while identifying potential new markets and industries. A key point to remember is that not all revenue is good revenue. It’s estimated that 30% of a company’s products, services and/or customers may not be profitable. Back to an earlier point; business owners must know which products, services and customer that drive profitability within the company. In The Art of War, Sun Tzu says “If you know your enemy and yourself, you will win every battle.” The initial battle plan is then to develop a clear and concise understanding of the company (complete steps one and two above) and to communicate your company‘s DNA to every employee. What’s your DNA? It’s . . “the aspect of the company that is very, very unlikely to change. . . .Financials rise and fall. Employees come and go. Procedures get rewritten, product lines are added or removed, marketing strategies get turned upside down. All these are important, but transient, realities of business life. However, there is something about a company that remains stubbornly the same throughout the vicissitudes of the business environment. We’re talking about the underlying character of the firm, in the sense one would speak of an individual’s character.” That’s your DNA! The parallel battle plan is to know your enemy; again, see steps one and two above. Enemies include waste, non-profitable customers, poor performing processes, low or no margin products or services, etc. You get the picture. Despite the odds against them, the DNA of The Magnificent Seven provided the grit and determination they needed to protect the villagers. Four are killed; the villagers overcome their own fear and join the battle; the bandits are routed. In the same way, despite the odds against a company and despite the prevalence of competition, owners need to take control of business operations to achieve profitability, diversify into profitable markets and win the battles.